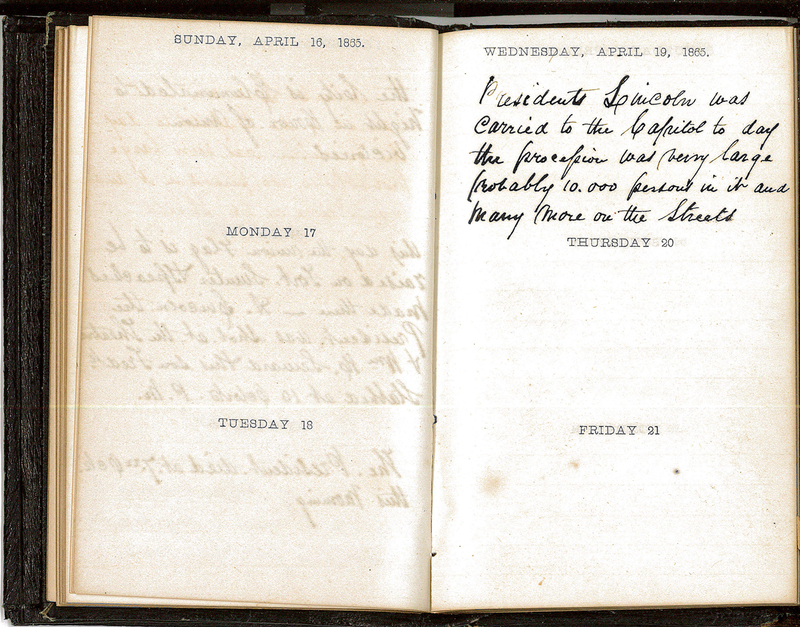 Pages of a journal dating from Sunday, April 16, 1865, to Friday, April 21, 1865. Most of the entries are blank. The Wednesday, April 19, 1865, entry notes that “President Lincoln was carried to the Capitol to day” and discusses the procession.